Okay, I won’t name names, but the guilty comprise many restaurants in Los Angeles and other cities. 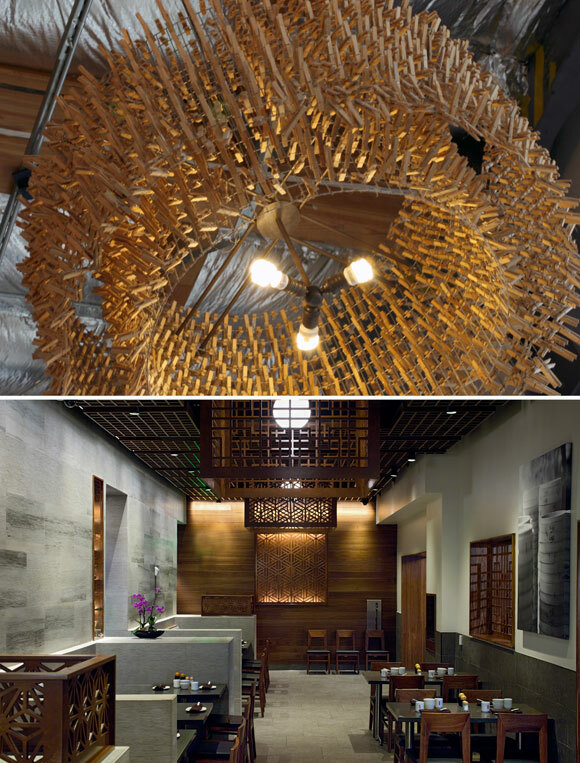 At these establishments, yes, I enjoy the food, the service and the architecture. But why can’t I hear my friends who sit across from me? Why is the noise level actually painful—my ears ringing from the haranguing clamor, and my throat sore from yelling mere table conversation? I came across the post, How to Choose A Restaurant When You have Heraing Loss, from leading hearing health advocate Shari Eberts, on her blog, Living With Hearing Loss. 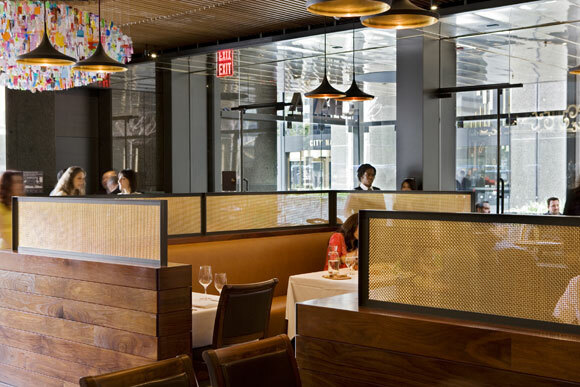 In her post, she describes the challenges that those with hearing loss can have when dining out and provides suggestions for how to best navigate a restaurant environment. While I complain about poorly designed acoustic environments, I can only imagine the overwhelming negative impact on restaurant customers with any degree of hearing loss. The irresponsibility is embarrassing. Most restaurateurs, architects and interior designers/decorators seem to be okay focusing only on the visual and ignoring the aural. Meaning, focusing only on what you see and ignoring how you hear. Listen, it is as if a lazy chef separated your taste buds from yours eyes, suggesting that your entrée doesn’t have to taste good, as long as it is looks good. 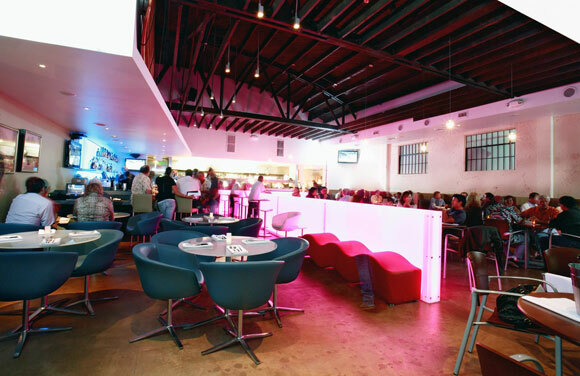 Recent interests in tuning up the restaurant experience to address the adverse effects of sound, vibration and reverberation are admirable. Though it is questionable to view the topic as a “new design trend.” Would we call safety a new design trend in automotive design? To create a comprehensive design, don’t just select stylish furniture, nice art and an agreeable palette of paint colors. The notes below are only a start, but should guide everyone from chefs to managers to designers in achieving quality aural architecture. Parallel surfaces can bounce the clatter of noise everywhere, even increasing it at times. A few degrees of shift or angle to any surface dissipate the echo. This can be done ambitiously with walls or easily with the placement of a wine display case or host stand. Adding soft surfaces like upholstered furniture and wall coverings are givens. Think about attaching sound absorbing fabric to the underside of dining tables. As sound bounces from the floor up towards customers’ ears, the fabric reduces the impact. 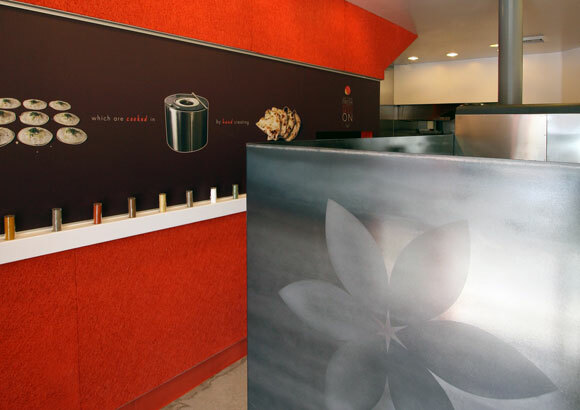 Absorbing material and industry acoustic panels can be hidden in dozens of places. 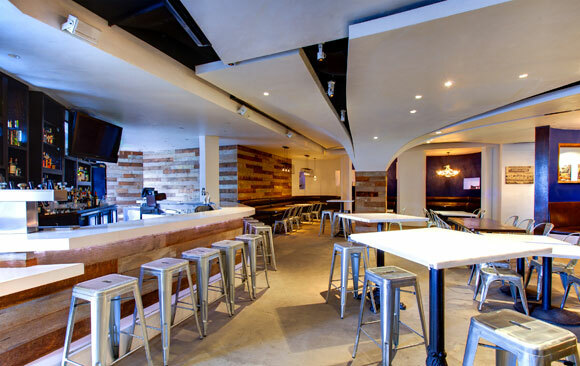 You don’t have to install an acoustic tile ceiling, which makes your restaurant look like a corporate office. I like “transparent ceilings.” Besides delivering the impression of a taller space, this approach produces one of the best acoustic solutions. As noise travels up, it is trapped by acoustic insulation. Another ceiling idea: varying heights prevent lingering echo, which also offers a diversity of scale. Ms. Eberts is correct about “Sound Absorbing Décor.” Almost anything can be engineered to diffuse sound travel, such as large painted canvases, ceiling sculpture, metal screens, wood lattices, or even light fixtures. Or, surprise a visitor with artificial grass used on a vertical surface, or a tree on the inside. 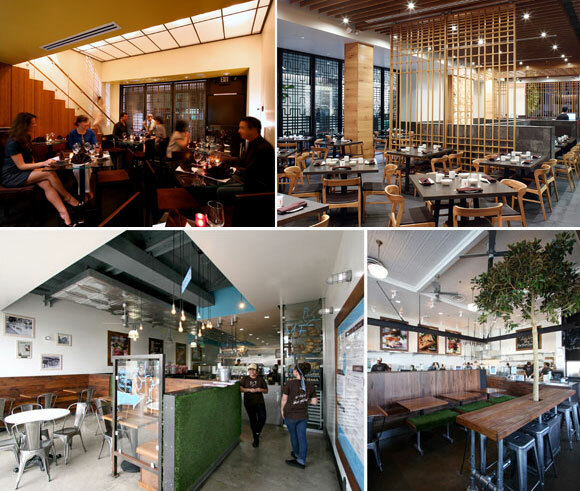 Restaurants are embracing modern design, but that doesn’t have to mean hard cold surfaces. Balance a concrete floor with walnut planks and brass mesh. Sleek surfaces are easy to keep clean, but juxtapose that polished stone countertop with a leather elbow rest. Keep the high ceilings, but bring the intimate scale and noise level down with funky chandeliers. 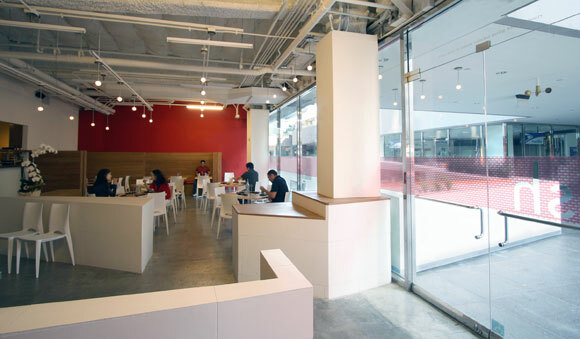 Include acoustic ideas as part of every design discussion, not as an afterthought or something trivial. Think of your restaurant as an instrument. It needs to be tuned.